On Friday 16th August 2019 you have the opportunity to be part of a national initiative to support young people with disabilities by holding your regular Jump Jam session for StarJam. 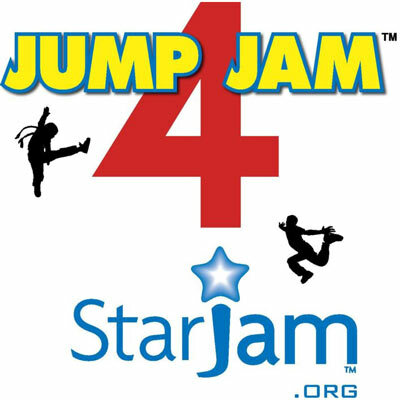 We here at JUMP JAM are very proud to support the Jump Jam 4 StarJam Initiative. Be a part of this exciting event in your school. StarJam is a not-for-profit organisation that creates empowering performance opportunities for young people with disabilities (known as ‘Jammers’). We provide weekly workshops in drumming, singing, dancing and guitar, as well as opportunities for our Jammers to perform gigs at public and private events, and we run monthly community get-togethers. Our unique programmes, all free-of-charge to our families, provide our Jammers with opportunities to learn and develop skill sets, gain confidence, experience respect and build friendships; things that, because of their disability, they may not have had the opportunity to do before.